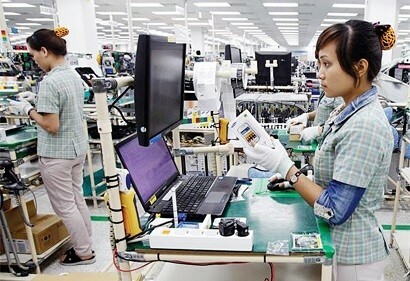 In 2018, the report on the enforcement of Resolution 19 and Resolution 35 on investment and business environment improvement and business development in Vietnam announced by the Vietnam Chamber of Commerce and Industry (VCCI), is expected by authorities and the business community to produce policy changes to achieve objectives. The Government’s Resolution 19, issued annually since 2014, and the Government Resolution 35, issued annually since 2016, are the two most important packages of solutions to achieve the above important goals. The report provided a business perspective on how central and local authorities carried out their tasks assigned in Resolution 19 and Resolution 35. With respect to objectives, Resolution 19 aims to establish favorable conditions for enterprises to meet international standards, with the first objective of reaching the level of ASEAN 4, a group of four most developed ASEAN members. Resolution 35 introduces tasks of institutional reform and business development support by simplifying administrative procedures and support services and aims to help the whole country have one million active enterprises by 2020. As a result, to date, 15 decrees on reduction of business investment conditions have been promulgated for such fields as Industry and Trade; Construction; Labor, Invalids and Social Affairs; Culture, Sports and Tourism; Natural Resources and Environment; Education and Training; Transport; and Agriculture and Rural Development. The business community has good responses to business registration procedures and information technology application. In particular, access to electricity has been significantly improved, with connectivity time reduced from six steps and 115 days to four steps and 31 days. From the perspective of VCCI, which is responsible for advising and making policies for the Government, VCCI President Vu Tien Loc said that, in fact, the investment and business environment in Vietnam still has weaknesses to be addressed. For example, progress varies among ministries, sectors and localities. Up to 42% of companies still have to apply for conditional business licenses while just 13% carry out online procedures. In reality, if leaders of administrative bodies are keen on reforms, the outcome will be more positive and substantive. The room for reforms remains vast and more efforts are needed from central and local authorities for a better outcome. However, there is a long way to go to produce substantial impact on enterprises. The gap from support policies to beneficiaries is still relatively far. The survey into 10,000 private enterprises conducted by VCCI showed that enterprises highly appreciate guidelines and objectives stated in Resolution 19 and Resolution 35 of the Government. The investment and business climate in Vietnam has improved significantly in the past few years. However, the actual degree of streamlined investment conditions varies across ministries, even among divisions in the same ministry. Among 11 fields, business establishment and access to electricity are best rated. Meanwhile, import and export procedures, investor protection and bankruptcy are not improved significantly. Regarding reform of specialized inspection procedures, according to Mr. Dau Anh Tuan, Director of VCCI Legal Department, as of September 2018, only 68 out of thousands of specialized inspection procedures applied to merchandise are conducted on the National Single Window (NSW). By 2020, as many as 284 procedures of this kind are expected to be brought to the NSW. Nevertheless, among these 68 procedures, only one (chemical declaration) is completely done on the electronic medium while the rest must include written documents in addition to electronic forms. He added, although the governmental policies approach is very tough towards reforming and simplifying specialized inspection procedures, the actual level of reform is very slow and below the target. Feedbacks from enterprises showed that inspections are repetitive in contents and so frequent. The survey showed that 43% of enterprises are still subject to tax inspection, 30% to fire safety inspection and 20% to market management. Nearly 39.8% are still inspected and checked two times or more a year, with 13% complaining about overlapped inspection contents among different inspectors. Although business conditions have improved substantially in some areas, the good outcome is not for all. The management apparatus lacks incentives to cut business conditions. There is one front door but there are many branch doors inside. Companies have to go to different places for their work done. To change this reality, we must take more aggressive action. The request for institutional reform must be stronger. The apparatus system must be consistent in their work. Public employees are not allowed to disturb or harass people and enterprises. Violators must be discharged from their positions and responsibility. The society is changing very fast and all stakeholders must be more aggressive to improve the business environment. I hope that, in the next two years, we will not need Resolution 19 and the Government does not need to give specific guide on every work to localities. Reporting from the business perspective is the most exact. But, we need to see how exact it is and most importantly, how to control unreturned procedures. Reforms are inherently difficult but upholding reform results is more difficult because procedures and conditions will quickly return if they have the chance to go back. On average, central authorities issue over 1,000 legal documents each year and about 50% of them are related to business (according to VCCI). Among them, there are 10-20 laws, about 200 decrees, and various resolutions, decisions and circulars. Thus, each document has dozens or even hundreds of regulations. Or within six months, the central government can issue tens of thousands of regulations that affect businesses. As long as independent agencies or the business community neglect monitoring, conditions and procedures will likely return in various forms and different interpretations.